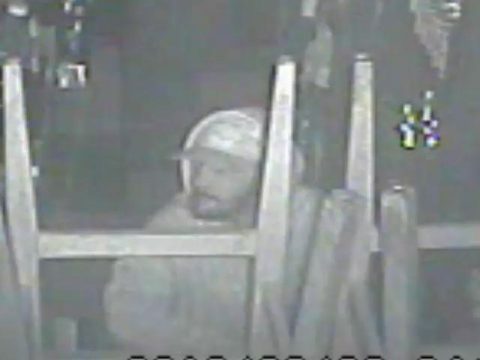 The Philadelphia Police is looking for the public’s help to identify suspects for a burglary at the Abbaye Bar & Restaurant in Northern Liberties. $15,000 was stolen from the pleasant neighborhood bar at 3:55 a.m. Friday, August 9th. Two males forced open a first floor window and took a safe (which was empty) and $15,000 cash from a small lock box. UPDATE: A post to the Abbaye Facebook page states that only a small amount of petty cash, not $15,000 was taken. Suspect #1: White male, 30 years-of-age, short beard, 5’10?-6’0?, thin build, wearing a white t-shirt, blue jeans, and a light colored baseball cap. Suspect #2: White male, 30 years-of-age, 5’8?-5’10?, heavy build, wearing a white sleeveless t-shirt, blue jean shorts, black sneakers and a light colored baseball cap.